25 executives driving the digital transformation agenda of consumer industry companies gathered in NYC on Aug 30, 2017 for a unique #UnConference. 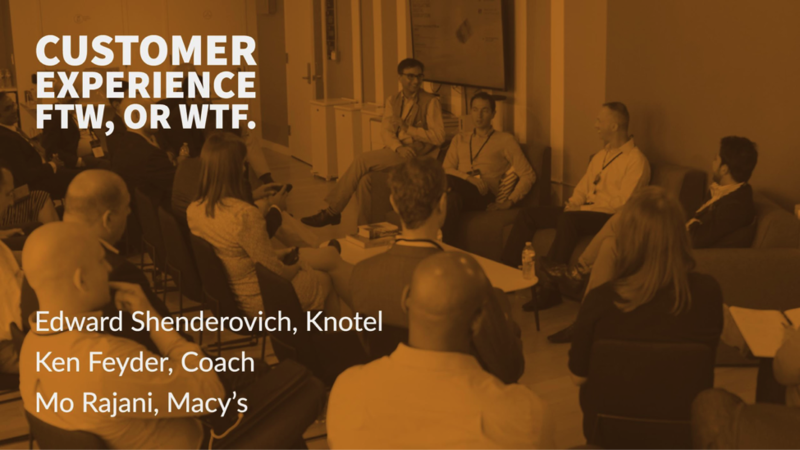 The agenda focused on peer-to-peer learning, hands on time with emerging technology and exclusive, behind-the-scenes store tours of two iconic store experiences. 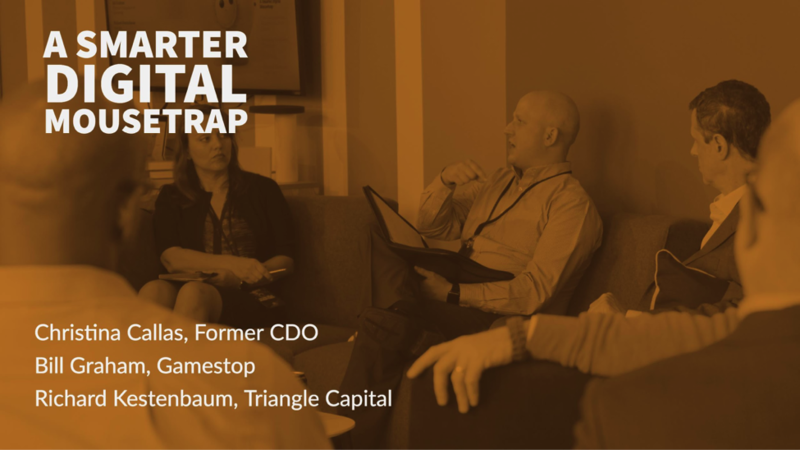 I had the pleasure of moderating 3 fireside chats with some of the most talented professionals in the consumer industries responsible for driving digital transformation for their brands. I also want to thank the ever fantastic Christina Callas for moderating the panel on building a Smarter Digital Mousetrap, she was excellent as always. 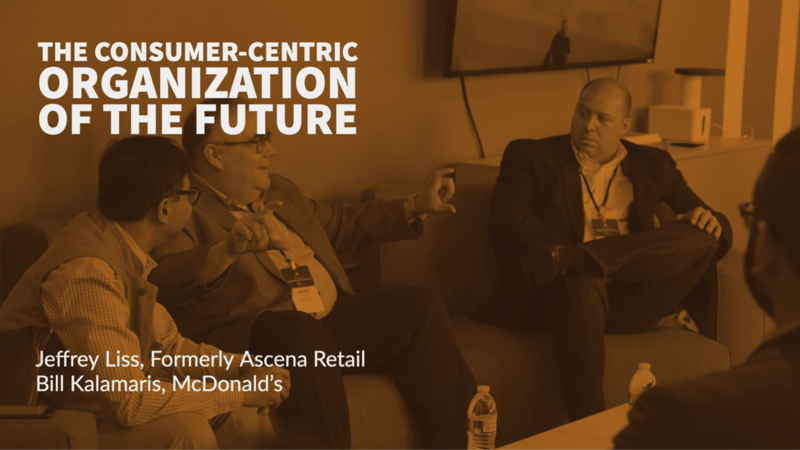 Here are my notes covering 4 of the most critical themes for any consumer industry business committed to being more relevant to their customers. We are in the Age of Amazon. Don’t mistake this as being relevant only if you compete with Amazon. Think of it as shorthand for the expectations that are being set and met by the likes of Uber, Netflix, Apple and others. You compete with these expectations whether you compete with Amazon or not. Whether you are a retailer, restaurant, consumer product company, hotel chain, bank or any other consumer business, the benchmark for the customer experience you need to compete against is no longer set by those in your industry. Amazonization - what Amazon is doing to the retail industry - will occur in other consumer industries as well. It is critical to prioritize where to concede, conform or confront. You will go out of business trying to compete with Amazon on assortment size, price or convenience. Concede. You can improve your use of analytics, ease of ordering, delivery times and visibility. Conform. You can differentiate by focusing on specific elements of your business model that help build a deeper emotional connect with your customers - authenticity, agility, artistry and advocacy. Confront. I also recommend you read Tadd Wilson’s amazingly insightful post that goes into further detail, including laying out details of the 3C’s framework. Your customer experience is the ultimate expression of how well you understand your customers, how your products and services fit within your business model, and how finely tuned your operational processes are. Increasingly, the customer experience is the product. Buying your product is not your customers’ goal. Using it is. Figure out how your product or brand is relevant in their lives and design your customer experience around that need. Go beyond legacy knowledge and gut to improve the customer experience. Run multiple experiments to understand what makes the most impact. Identify and eliminate costly points of friction in your customer experience. Project out what this experience looks like globally or across banners for your best cohorts. I also recommend you read Dave Weinand’s love-song to Sephora (one of the stores we toured that day) and Ulta Beauty - a couple of brands who are clear on what their customer experience is, and are heavily invested in ensuring that they continue to elevate that experience. For most consumer-industry companies “digital” continues to be treated as sales or marketing channel. If anything, digital should be shorthand for the seismic shift needed in your strategy, business model or customer engagement. Boxing digital into a channel-centric construct is flawed, myopic and ultimately counter-productive. A channel or category based view of performance is broken. Beware of making strategic or structural decisions on traditional channel or category metrics alone. Think of digital as the front door to your store. Invest in better understanding what the most important KPIs are for your business model. Digital attribution is a good place to start. Create a better understanding of what a dollar spent on digital means for the overall business. Performance metrics of the future will prioritize customer performance over channel performance. 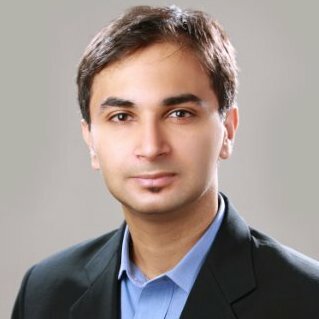 Focus on customer lifetime value and share of wallet. 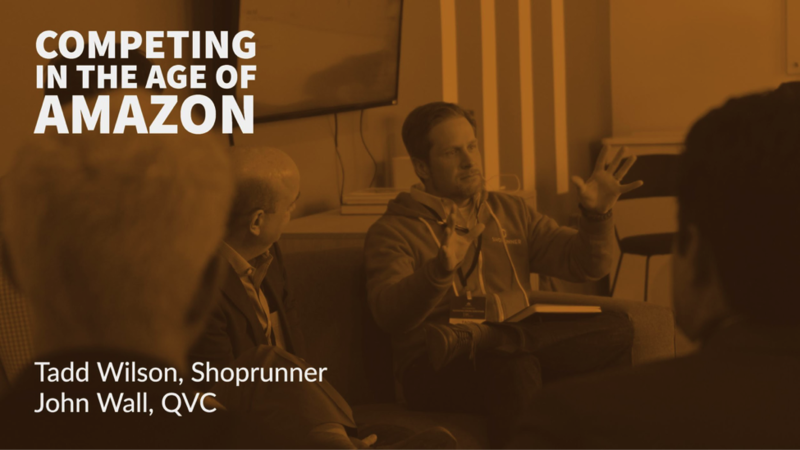 Combine an open, collaborative culture with a focus on customer-centric metrics to thrive in the Age of Amazon. Most organizations are making progress on associate and customer experience despite their organizational structure, not enabled by it. Customer-centric organizations of the future will have a flatter, more horizontal structure that will allow greater cross-pollination of skills and ideas. This is unfamiliar territory for most traditional enterprises that are used to driving efficiency by having people “work in their box”. Culture change is critical for digital transformation. Bottom-up change hits a glass ceiling in organizations that do not have a top-down transformation agenda. As you define a target-state for your transformation agenda, you will uncover a significant skill gap. This skill gap is under-represented (if not entirely missed) in most organizations’ digital transformation budgets. 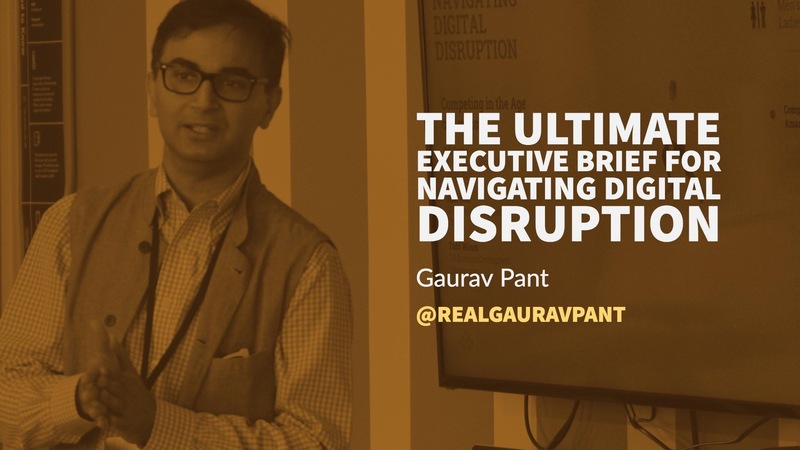 Beyond domain or technical expertise, the change agents of the future will posses these core skills - collaboration, influence across their span of control, and the ability to learn and unlearn quickly. Prioritize associate training, enablement and empowerment. Build an amazing associate experience, reduce friction points for them, and see that translate into a great customer experience. Spending a day together with such an amazing group offers innumerable moments of inspiration. For those that attended, I hope this summary helps you retain and apply key takeaways that may otherwise be lost to the rigors of the day-to-day.